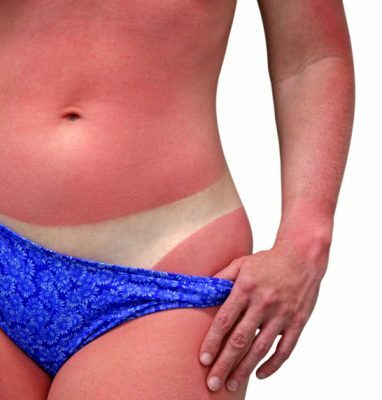 Do You Know Your Sunburn Potential? Home » Anti-Aging » Aging Skin » Do You Know Your Sunburn Potential? Summer is generally associated with lots of sunshine and outdoor activities with family and friends. However, there is also one issue that needs to be considered during summer— sun damage. Exposure to the rays of the sun can be actually helpful because it stimulates the body to produce vitamin D, which plays a major role in the prevention of various types of diseases, from rickets to cancer. However, extensive exposure to sun may also result in sun damage, including skin ageing, which is opposes methods to look younger. In addition, the brightness of the sun also makes us squint, resulting in wrinkles around the eyes and that definitely does not help us look younger. Skin care has generally focused on ways to prevent sun damage as we simultaneously spend time in the sun to get that perfect tan. It is thus important to adapt specific skin care techniques to prevent sun damage and to increase the chances to look younger. There are different types of skin care products such as UV protectants that decrease the effects of sun damage. There are also creams and moisturizers that may help us look younger by preventing extensive skin dehydration and wrinkling. According to a recent medical report published in the British Journal of Dermatology, certain skin features may serve as markers in determining the risk for sun damage. In a study involving the examination of the skin around the eyes of approximately 1,341 study participants, the incidence of blotches and other types of sun damage were assessed. In addition, the study participants were also asked about skin care techniques that they used to possibly prevent sun damage and look younger. Other relevant information such as age, body mass index, frequency of smoking, and mutations in the melanocortin 1 receptor (MC1R) gene, which is a gene strongly associated with the development of melanoma, were collected. The results of the study showed that wrinkling of the skin around the eyes was strongly associated with both heavy smoking and age, whereas these same features did not directly provide information on sun damage. However, the correlation between wrinkling and heavy smoking suggests that if a person intends to look younger, quitting smoking may be a good option to adapt. Smoking cessation not only helps a person look younger, but will also improve one’s general health. Interestingly, skin types that show vascularization, or the small blood vessels right underneath the skin, have been shown to be more likely to accumulate damage from sun exposure. It is thus possible that extensive time spent outdoors may increase sun damage and lower the chance to look younger. For certain individuals, the presence of veins under the skin requires comprehensive skin care that may minimize the redness and help the person look younger. Dark pigmentation or the presence of blotchy skin has also been shown to be more susceptible to damage during sun exposure. The study showed that having darker colored skin around the eyes might result in more pigmentation after sun exposure. It is thus also helpful to apply skin care products around the eyes when going outdoors or spending time under the sun. The use of sunscreen and other types of protectants has been often recommended for proper skin care. These formulations tend to block harmful ultraviolet rays originating from the sun, which may trigger changes in the composition and activities of molecules in the skin. In order to look younger and to prevent further damage to the skin, it is therefore essential that skin care options and treatments be performed to maintain that healthy skin look. Proper skin care can also be achieved by drinking sufficient amounts of water each day. Constant hydration of the skin prevents the loss of moisture in the body, including that of the skin. Wrinkling is also more likely to occur when the body is dehydrated. Adapting proper skin care may thus help one look younger and decrease the chances of potential skin damage.